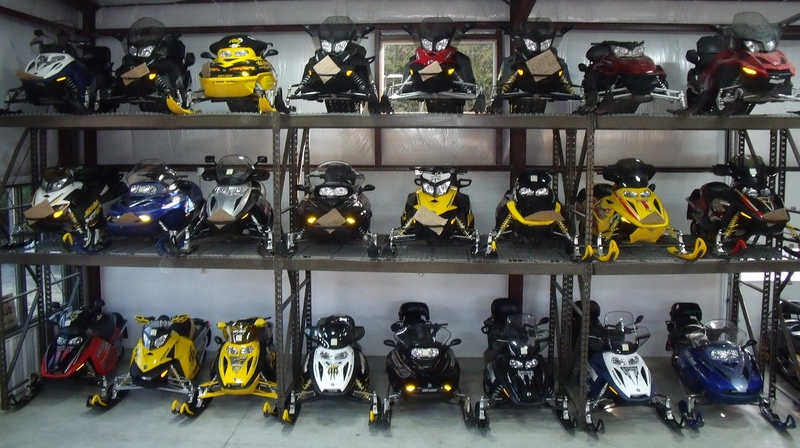 The Sled Depot deals in used snowmobiles, snowmobile trailers, ATV’s and Side-by-sides. We have a large selection of machines in an ever changing inventory. All Makes, All Models. You can find Ski-Doo, Arctic Cat, Yamaha and Polaris snowmobiles. We also carry Can-Am, Honda, Suzuki, John Deere, Yamaha, and Polaris ATV’s. Along with the used snowmobile trailers, we also have a selection of new Triton snowmobile trailers, too. Back in 1987 Mark and Greg needed something to do in the winter after their first season building docks, and their love of snowmobiling made this a natural choice. Twenty-five years later, they are still at it, and have become one of the biggest used sled dealers in Ontario. 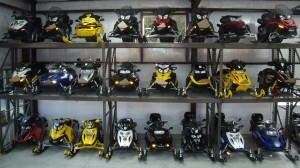 Click on the link above and to the right to see the large inventory of used sleds, all makes and all models.